To ord er autographed copies of The Joyful Bear and Strangers Have the Best Candy, as well as Happy Spots and Strangers Have the Best Candy buttons, please visit my online store. Booksellers: Choose Art Books specializes in books that inspire and celebrate creativity. Print editions are distributed by Ingram and Createspace. Special autographed copies are available directly from the author. Special autographed and doodled copies are available directly from the author. 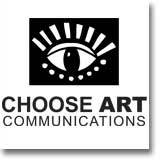 For more information, please call (772) 360-4568 or email chooseartbooks@1meps.com.